Our organization is a renowned name in this domain engaged in presenting precious customers a wide array of Rainbow Sandstone. These Rainbow Sandstones are well known for their features like fine cuts and durable finishes. Offered product is available amongst our customers at industrial leading prices. Our clients can avail from us beautiful rainbow sandstones that are used for the building purposes. These sandstones find extensive use in different types of architecture due to their color and surface finish. 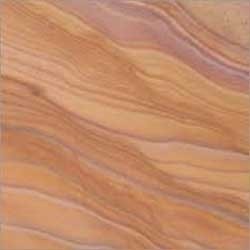 Rainbow Sandstone more popularly known as Khatu Rainbow Sandstone has fine grained quartz. The other mineral composition imparts attractive color variation in form of brown, violet and sometimes reddish veins. This regular color variation has got it's name as rainbow, available in tiles in sawn finish only. - Widely demanded at retail shops, malls, houses, etc. We offer a range of Rainbow Sandstone, which is known for its eye catching color combination and perfect finish. 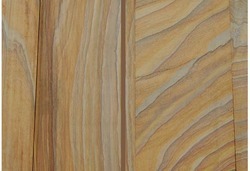 We are supplying natural stones in enticing rainbow patterns that are highly demanded in the market. Available in different forms like slabs, blocks etc, these stones have fine finishes and polish that enhances the look of the end product.